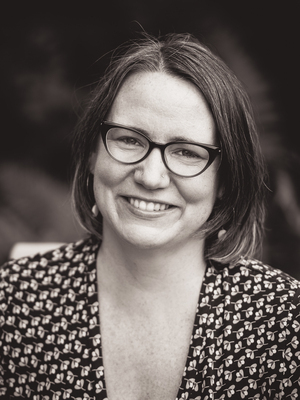 Molly Farrell specializes in early American literature, particularly colonial writing; gender, sexuality, and reproduction; and the history of science. Her first book, Counting Bodies: Population in Colonial American Writing (Oxford University Press, 2016), explores writings that illuminate how people came to understand themselves as numbers on a countable globe. The book contends that imaginative, personal and narrative writings produced in the colonies naturalized the now-widespread view that bodies can and should be enumerated. Counting Bodies tells the story of how this cultural work, both entangled with and departing from official population science, was a central element of colonial projects. She is currently at work on two book-length projects that develop questions raised by Counting Bodies. One investigates the role of disgust and other affects in the regulation of social reproduction, ranging from controversies over monstrous births and witch hunts in the colonial period to contemporary debates over reproductive justice. Another book project offers a reimagined history of numeracy—the teaching and application of numbers in everyday life—in colonial America. Rather than viewing mathematical thinking as primarily a colonizing tool, this project approaches the changing role of numbers as an intercolonial dialogue shaped especially by the contributions of Native Americans and slaves. Farrell has published essays in Early American Literature, American Literature and elsewhere, and her work has been supported by awards from institutions including the American Antiquarian Society. At Ohio State, she co-organizes the "Americas Before 1900" working group at the Humanities Institute. Farrell teaches undergraduate and graduate courses on topics such as trends in early American studies; narratives of disease outbreak; imagining the prison in nineteenth-century literature; the interplay of gender and empire; the relationship between Haiti and American literature and Ohio poets from the nineteenth century to the present.